Lucy was happy for Trish. Really. Somehow, within three minutes of entering the LeCave, she had managed to find herself an adorable Frenchman. And not only this, but the man looked a whole like like Clive Owen (except he was French). 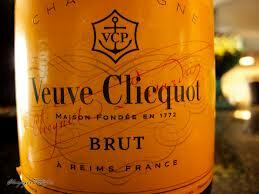 Plus, he came with a bottle of champagne--Veuve Clicquot! He placed it gently on the table for Trish, Isabelle and Lucy to admire. "Merci beaucoup," Isabelle smiled and then looked sideways at Trish, as if to say how did you manage this!? "Meet Jean-Pierre," Trish announced, taking a seat. "He's my new best friend!" Jean-Pierre smiled at Trish. He probably didn't understand what she was saying. In fact, he didn't seem to speak much English, but it was clear that the man was smitten and completely charmed by her friend. Ah, love, Lucy mused. She remembered those days. How long had it been since she felt like that? Oh, that's right. It was about ten minutes ago. Just before they entered the Parisian club. Just before she checked her phone. Just before she received the text from boyfriend, Peter! What did it mean? Was he tired of her? Was he annoyed by all her friendly texts from France? Had he met another girl while back home in New York City? And was he biking with this new girl, the way they used to bike together? Despite the popping of the champagne cork and the laughter and the music and ooh la la all around, Lucy couldn't help but remember her early days with Peter. Their life had been so full of romance and love and fun and now, it was enough. "Earth to Lucy!" Trish laughed holding up her champagne flute for a toast. Lucy quickly lifted her glass, and pretended to be happy. Isabelle made the toast in French, "a vos amours!" And then Trish, Jean-Pierre, Isabelle and Lucy all took a sip. "Yum!" Trish said, turning to Isabelle. "So, what did we just toast to, anyway?" Isabelle smiled, "a vos amours means to your loves." And this is when Lucy began to cry, because her love had had enough. And suddenly, she felt as if her heart was frozen. P.S. I would like to have Isabelle and Michael (the boy in their photography group) have a funny encounter during their next class. Any suggestions?